UV Disinfection System that we offer is manufactured using stainless steel 304, 316, 316 L. The units of our UV Disinfection System are designed so perfectly to get maximum retention time and turbulence of water for better results. The Radiation chamber of our UV Disinfection System is mirror polished from the inside and outside thus reflecting max and amount of radiation. 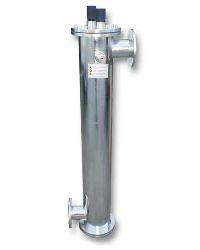 Both the ends of this system are flanged for easy operation, maintenance and servicing. 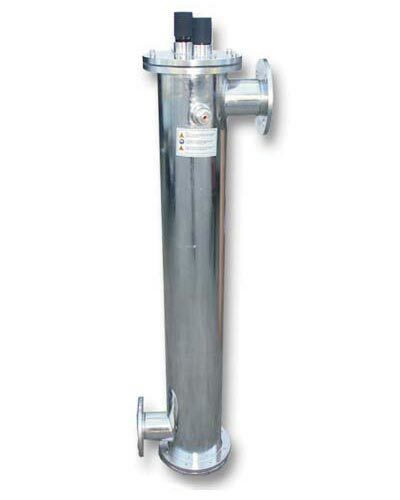 It consists of quartz jackets and each quartz jacket is provided with a specially designed wiper assembly for removing any particles that get settled on the Quartz tube. The system is completely sealed to avoid any harmful effects from U.V. radiation. The Power Panel of UV Disinfection System is specially designed to withstand voltage fluctuation up to 5 %+. All the U.V. Cables are protected with spiral shield. It is provided with an alarm system to give signal in case of any lamp failure. Customers can avail this system from us in both standard and customized forms. 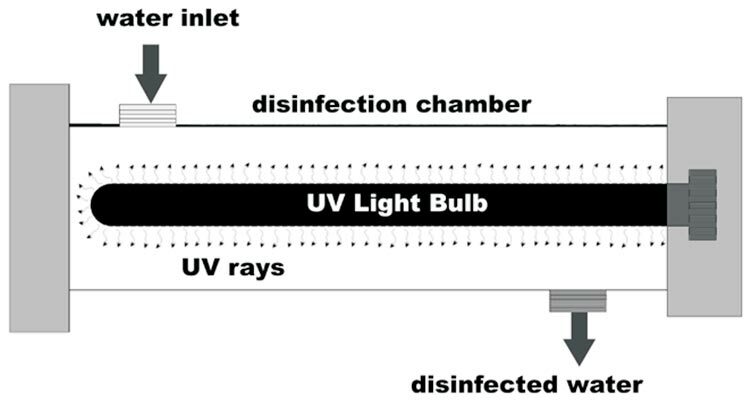 UV disinfection is effective at inactivating most viruses, spores and cysts. UV disinfection is a physical process rather that a chemical disinfectant, which eliminates the need to generate, handle, transport, or store toxic/hazardous or corrosive chemicals. UV disinfection has a shorter contact time when compared with other disinfectants (approximately 20 to 30 seconds with lowpressure lamps).